Welcome to the Homestead Finishing Products eBay Store. 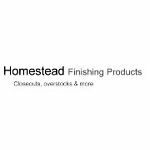 Please visit our main website at www.homesteadfinishingproducts.com if you don't find what you're looking for here. TransTint Liquid Concentrated Dye Primary 4 - Color Kit - FREE SHIP! 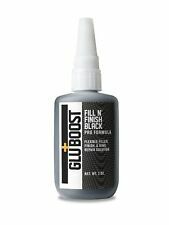 GluBoost Fill n Finish Black - 2 oz. FREE SHIP!!! TransTint Liquid Concentrated Dye "Paintbox" Kit - FREE SHIP! GluBoost Accelerator - 4 oz. Mixol 8-Piece 20ml Tint Set Accent Colors FREE SHIP!! GluBoost Fill n Finish Pro Formula - 2 oz. FREE SHIP!!! GluBoost Mark+Mask System - FREE SHIP!!! Scotch-Brite #7447 Maroon Pads Pack/5 FREE SHIPPING! Scotch-Brite #7445 White Pads Pack/5 FREE SHIPPING! GluBoost Master Glu Thin - 2 oz. FREE SHIP!!! 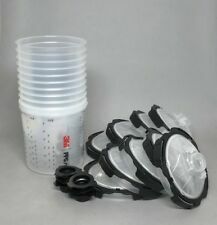 3M PPS Series Ver 2.0 Starter Cup Kit Medium 22 oz 200 Micron Filter READ DESC!! 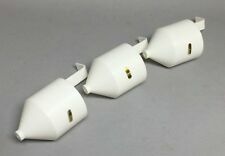 Economy Ford #4 Viscosity Cup 3-PACK FREE SHIPPING! Mixol #10 RED Universal Tint 20ml Bottle FREE SHIP! GluBoost Fill n Finish Value Pack Save 5% FREE SHIP!!! 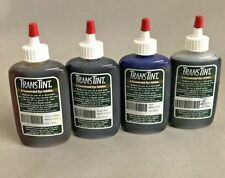 TransTint Liquid Concentrated Dye Wood Tone Master Kit - FREE SHIP! GluBoost Master Glu Ultra Thin - 2 oz. FREE SHIP!!! GluBoost Fill n Finish Thin Formula - 2 oz. FREE SHIP!!! TransTint Liquid Concentrated Dye Master Starter Kit - FREE SHIP! 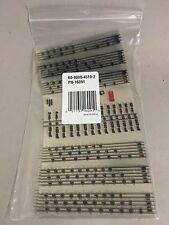 3M™ PPS™ Mylar Mixing Ratio Insert for Large cup #16091 10 pieces FREE SHIP! Mixol ME3 Metallic Copper Effect 20g Bottle FREE SHIP! Colorwheel Stain Chart with TransTint Cross-Reference - FREE SHIP! Urea Gel Suppresant for Hide Glue by Homestead 4 oz. Mixol ME2 Metallic Silver Effect 20g Bottle FREE SHIP! Mixol #1 BLACK Universal Tint 20ml Bottle FREE SHIP!